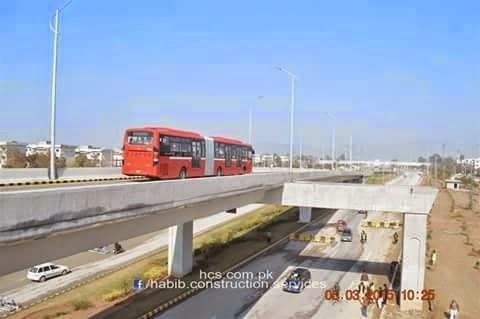 The Lahore Metro bus project commenced with a big bang as after the demise of the Lahore Omni Bus Service (LOS), once the darling of Lahore's roads and transportation system, there has been no alternative to the LOS. Like many others, I also wanted to have a ride on the Lahore Metro to be part of this new era in Lahore's transportation means. 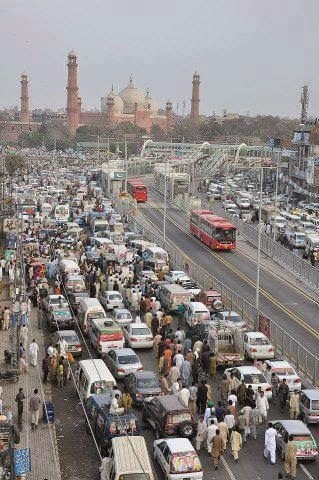 While the buses moved unhindered and with no traffic at all in the secured lanes, guarded by iron fence for which it is also sarcastically called 'Jangla Bus Service' by some, the people not travelling in the bus were seen having a rough time on intersections due to cramped space as most of the road space has been allocated exclusively for the Metro buses. Now a similar project is being undertaken in Rawalpindi/Islamabad - where instead of 'Jangla' an elevated platform has been constructed costing billions of rupees for the exclusive use of the Rawalpindi-Islamabad Metro. This is how Metro runs in Pakistan at a huge cost being paid by the tax payers of the country. In fact, the project has been undertaken for one route only at the expense of countless smaller projects in other parts of the province. 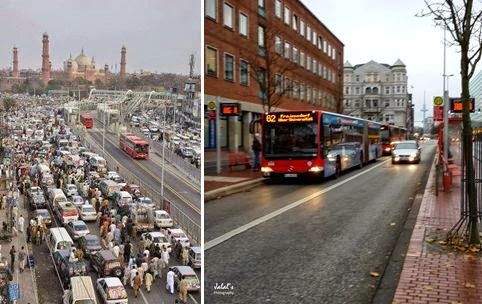 But like most of the Pakistanis I also thought that perhaps this is how a modern transportation system works - till I visited Germany very recently.